Sorry for my inconsistent posts again. After my road trip down south, I had to work 4 nights in a row and this is my first night off. But I wanted to share something special with you guys. The other night, I had a patient whose mother passed away that same day and it got a little hectic at night. My patient was extremely upset and got to the point of him calling 911. I won’t say too many details because of privacy, but basically I tried my best to be empathetic and realize that my patient and his family were going through an extremely hard time. Being at the hospital is already stressful and confusing as it is so I can’t imagine having to be stuck at the hospital while a loved one passes away! I tried my best to be patient and really put myself in their shoes and in the end I was able to calm my patient and this was the end result! My patient gave me this card a few days later! 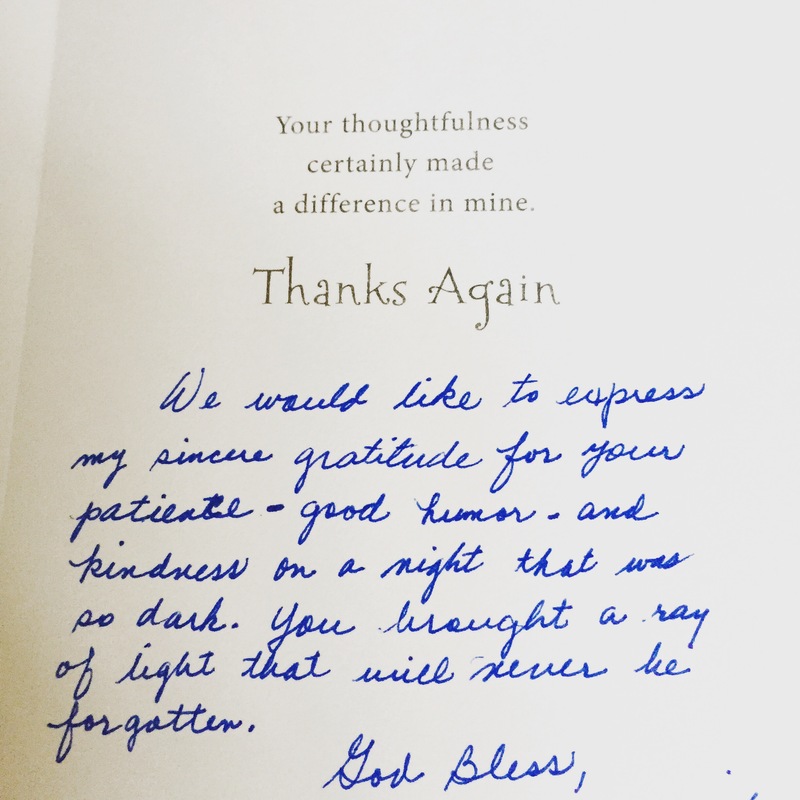 I have gotten kind words from different patients, but this is the first card from a patient and to me, a handwritten card means so much more than just words because it actually takes a little more effort to write it down and shows true appreciation. Anyway, although I had a rough month at work, questioning if I made the right decision to be a nurse, this was the perfect reminder. This is what it means to be a nurse. To be able to touch lives during the darkest times of people’s lives. So thankful to be able to do what I do. And for any of you who may be questioning whether you made the right choice to be a nurse, think of this! No matter how bad staffing may be, your boss, your coworkers, or whatever horrible conditions you have to work with, remember that you’re there for your patient and ignore the rest. Hope everyone is having an amazing start of the week! It’s great to read the words of a nurse who cares about their patients’ mental well-being. The worst part of clinicals as a student nurse is the nurses who don’t seem to care about their patients at all. Perhaps it’s a med-surg thing?